Synergy Syscom Pvt. Ltd. isanIT solution provider and IT consultant for business across various industries. With experience of different industries and domains we work with customers to provide them with IT solutions and services for their business that make them refine / structure business processes. Started in 2003, Synergy is based in Ahmedabad, Gujarat (India). 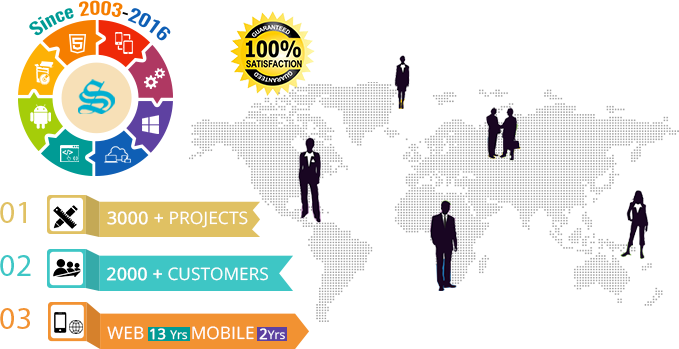 We have served 2000+ clients and worked on 3000+ projects. Synergy supports customers from SMEs to Big Corporates. 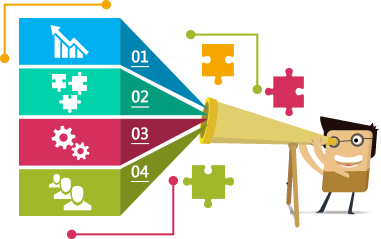 We have developed Responsive CMS Websites, Web Applications, Desktop Business Solutions, Enterprise Business Applications, API Integration, UI Designs, and Android Applications. We envision delivering robust, scalable and quality IT Products and Services on Desktop, Web, Mobile platforms. Present ideas, business through Digital Media. We convert ideas to rich Web Presentations, Responsive Websites, Email Designs, Social Media Designs, Rich Web Application UI, Mobile Application UI. Custom Web Solutions to suit your requirements. Well proven methods convert ideas into web solutions using difference technology platforms. A system that connects processes and information into an integrated solution. We analyse, create, re-engineer the business processes to generate effective solutions for the enterprise. Utilize immense potential of mobility for your business. Think of an app and we have the expertise to get it done. Desktop/Web Based Products for Manufacturing, International Courier, Domestic Courier, Bulk Courier, Inventory Management, Electronic Billing/Inventory/Service, Processed Based Inventory, Sales Force Automation. Applications require upgrades/extensions as well as porting of platforms, porting of databases. We analyse, understand, re-engineer your current applications and upgrade it as per business requirements.